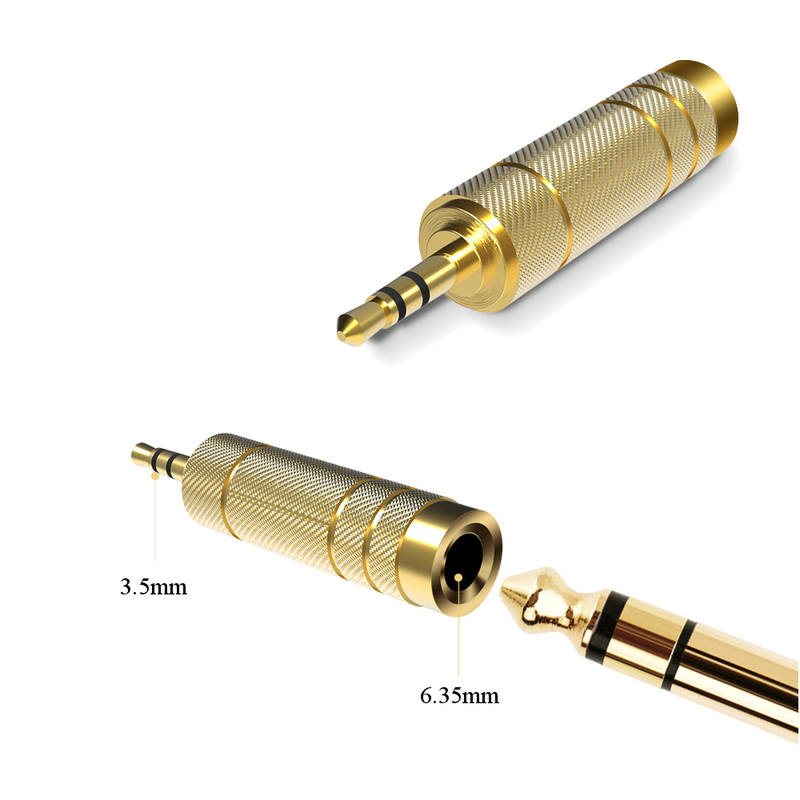 Great for Professional musicians: Convert’s 6.35 mm (3 Position) Jack TO 3.5 mm (3 Position) Jack in order to be used with devices equipped with 3.5mm female port. Compact design for maximum portability, lightweight, yet sturdy design that can easily be plugged in when required. SKU: 3.5(M)-6.35(F)-Adpt.Gld. Category: Converter Adapters / Jacks, Sound & Vision. The A-form TS or TRS plug was designed originally with a quarter-inch diameter, which translates reasonably closely as 6.35mm (also known as 6.5mm). 3.5 mm Jack (3 Position) Male TO 6.35 mm Jack (3 Position) Female. Compact design for maximum portability – a great solution to have on hand in your musician’s bag. Lightweight, yet sturdy design that can easily be plugged in when required. Connect 6.35mm Audio devices that are equipped with a 3 pole TRS Jack, with different devices equipped with 3.5mm AUX Female port, effectively switching between 6.35mm to 3.5mm jack.